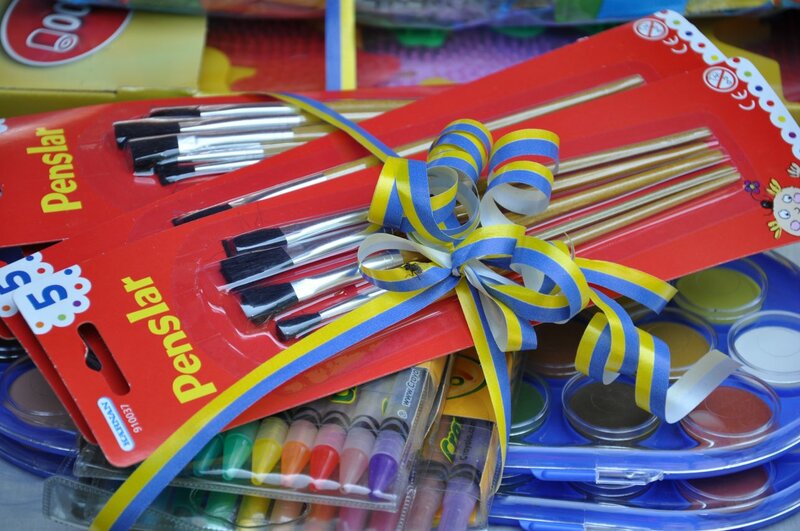 An Education Makes for a Brighter Future! 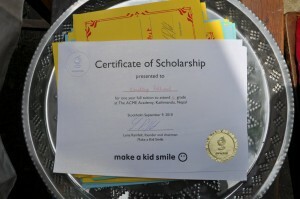 We are grateful to you and your foundation for providing scholarships to the needy children of Acme Academy , Nepal. 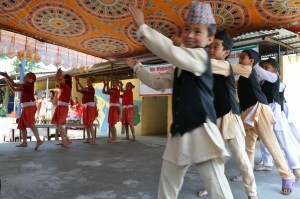 Most parents in Nepal have understood the importance of education. They are migrating from village to towns in search of better livelihood. 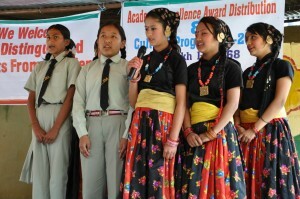 Yet many of them are uneducated and find less paying jobs thus are unable to provide good education to their children. Government school’s education is in pathetic condition. Every parent’s dream is to send their children to private school. 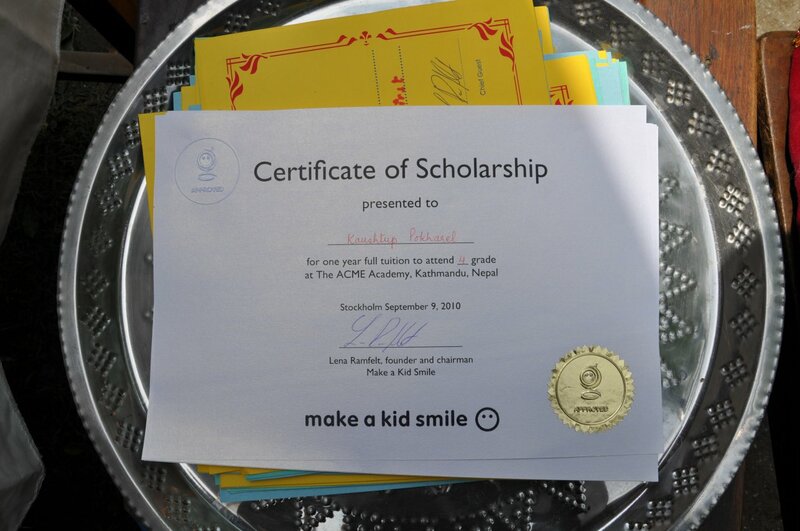 The Make a Kid Smile foundation is fulfilling the dream of those parents who were unable to send their kids to a private school. 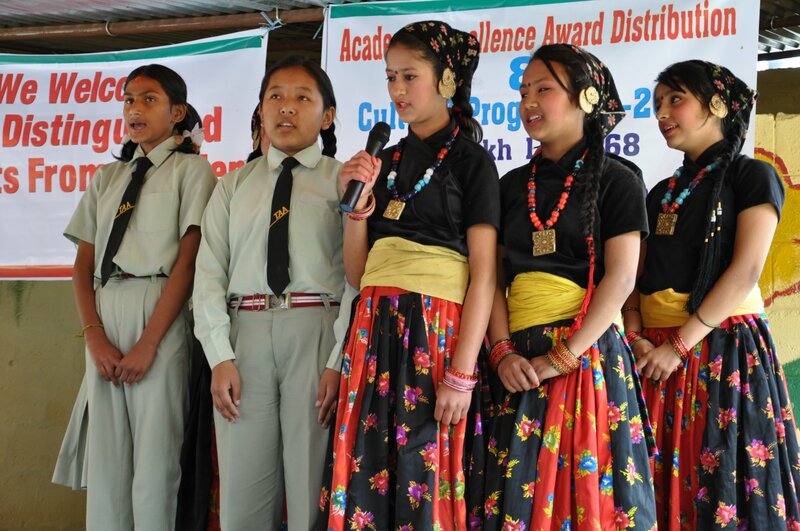 We, the school and families hope that the scholarships will be continued and the needy students will get quality education at our school. 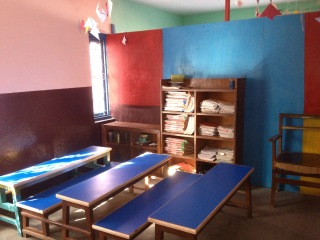 The students at SSHL in Sweden have collected money so that ACME Academy in Nepal could paint their classrooms in bright colors. On Friday there was a Fifa-tournament at SSHL held by the students there. The entering fee and money collected from selling snacks will go to the ACME Academy and the renovation of a classroom there. Make a Kid Smile donated T-shirts to the event. 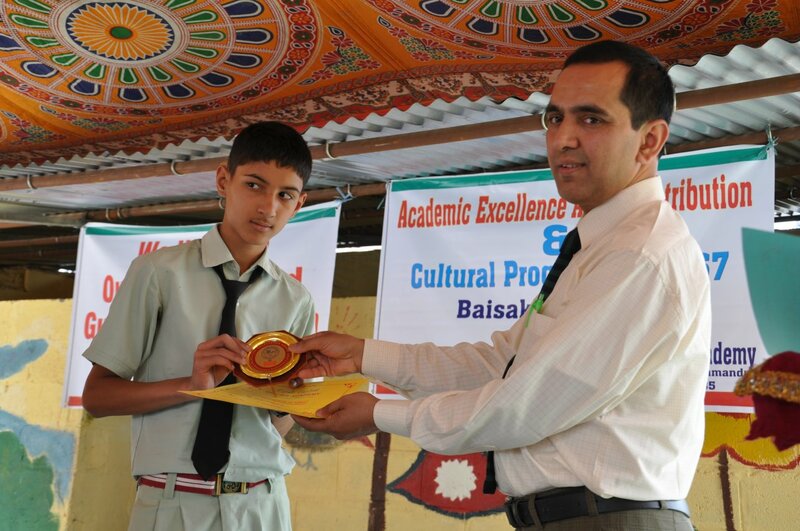 to honor our scholarship students and to find more Global Buddy Schools. All pictures below are taken at a ceremony at the ACME Academy in Kathmandu, Nepal, where the pupils are given their grades. 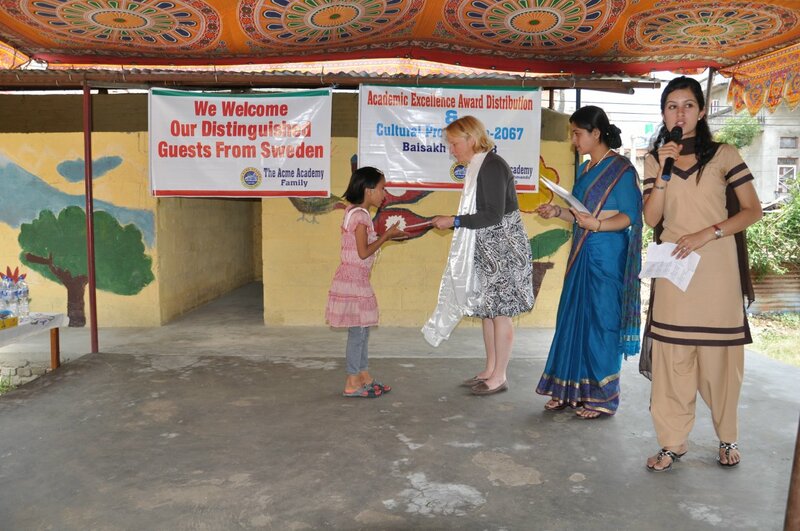 Make a Kid Smile acknowledged their students by giving them a Certificate of Scholarship and the pupils entertained. Even the school got a present, painting materials for the children.